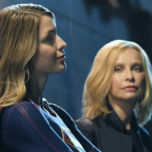 In this week’s episode of Supergirl Radio, Carly Lane, Morgan Glennon, and Rebecca Johnson are joined by Kat Calamia from The Legends of Tomorrow Podcast to discuss the Supergirl season two episode titled “Luthors”! If you’d like to contribute to Kat’s Like Father, Like Daughter comic series, visit the Kickstarter! Supergirl stars Melissa Benoist (Kara Danvers/Supergirl), Chyler Leigh (Alex Danvers), Mehcad Brooks (James Olsen), David Harewood (Hank Henshaw/Martian Manhunter), Jeremy Jordan (Winslow “Winn” Schott), Chris Wood (Mon-El), and Floriana Lima (Maggie Sawyer). WRITTEN BY: Robert Rovner and Cindy Lichtman. DIRECTED BY: Tawnia McKiernan. 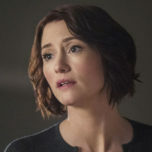 Ali Adler Andrea Brooks Andrew Kreisberg Brenda Strong Carly Lane Christopher Wood Chyler Leigh David Harewood DCTV Floriana Lima Frederick Schmidt Geoff Johns Greg Berlanti Ian Gomez Jeremy Jordan Kat Calamia Katie McGrath Mehcad Brooks Melissa Benoist Morgan Glennon Peter Gadiot Rebecca Johnson Supergirl Supergirl Season 2 The CW Warner Bros TV. Can’t wait for the next one – Love the podcast ladies !! Interesting thought about how Chris Wood plays Mon-El! Thanks for listening and commenting, Lesley! Tags: Ali Adler / Andrea Brooks / Andrew Kreisberg / Brenda Strong / Carly Lane / Christopher Wood / Chyler Leigh / David Harewood / DCTV / Floriana Lima / Frederick Schmidt / Geoff Johns / Greg Berlanti / Ian Gomez / Jeremy Jordan / Kat Calamia / Katie McGrath / Mehcad Brooks / Melissa Benoist / Morgan Glennon / Peter Gadiot / Rebecca Johnson / Supergirl / Supergirl Season 2 / The CW / Warner Bros TV.